Lake Garda remains one of the best destinations for a family vacation in Italy, offering sandy beaches and clear water ideal for swimming and boating. Attractions on Lake Garda include Venetian architecture, medieval structures, castles, and houses overlooking the water. Lake Garda is in Italy. 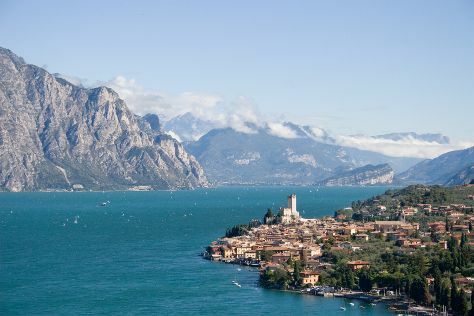 Use our Italy online trip builder to plan your trip to Lake Garda and other destinations in Italy.